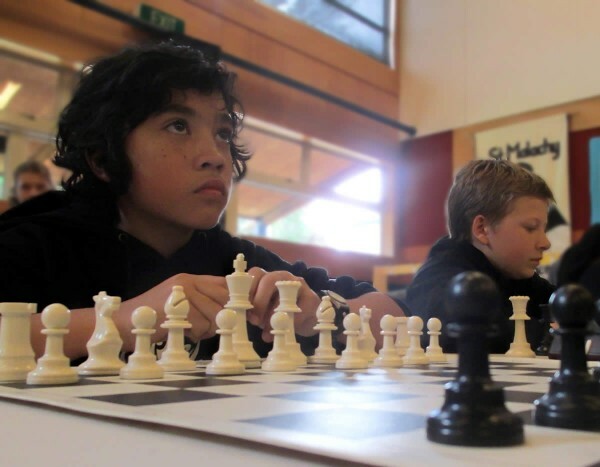 After winning their regional tournament, our chess team of Sam Hunter, Joseph Teofilo, Joji Dell and Neo Carter headed to Auckland at the end of September for the NZ Interschool National competition. 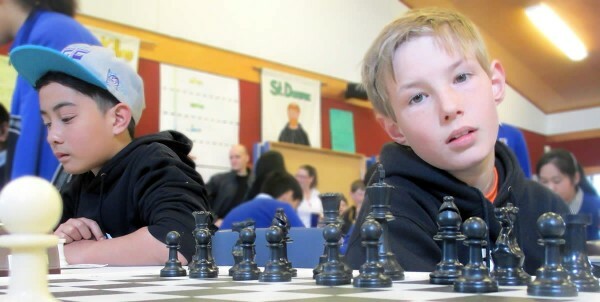 They were confronted by a new rule which caused many instant losses across the whole tournament; some matches finished in as little as two moves. 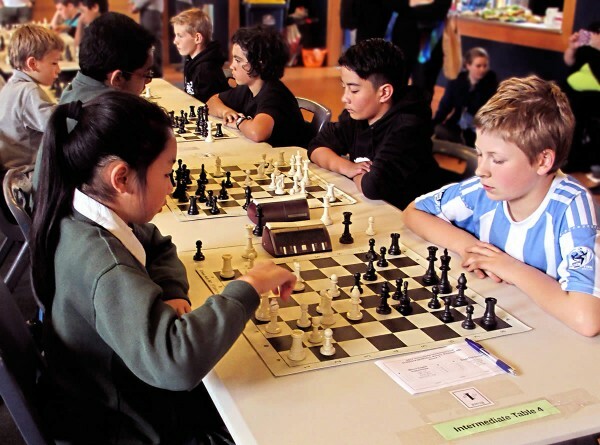 We’re very proud that our team decided after day one that they were there to play chess, not end games prematurely based on technicalities, and would not to claim such wins (even if they were claimed against us). 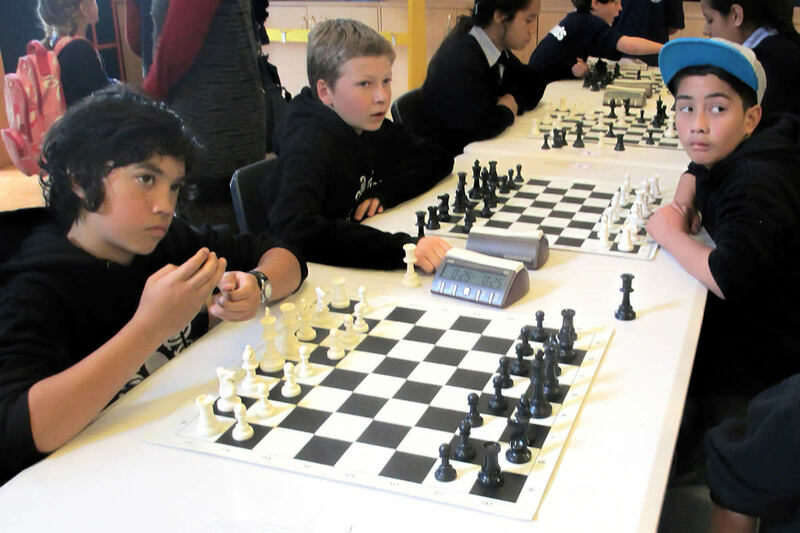 That decision saw Sam electing to allow one of his Sunday opponents to fight on, and the game came right down to the wire with a small crowd gathering around to watch the battle. 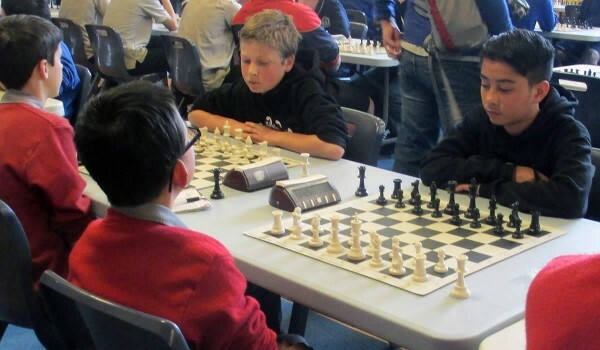 In a tense ending, Sam’s opponent played more precisely and won, but everyone involved enjoyed the contest, and both boys came away with valuable experience in a pressurised end-game; exactly what chess should be! When the dust settled, our team had placed second-last, but they all had at least one win each, and every boy showed fighting spirit and unflagging enthusiasm. Our congratulations to them all! A huge thanks also to South End School, the Montessori Trust, and fundraising led by Tina Rahui and Bronwyn Pogson, whose combined support covered the costs of getting four young men and one slightly older guardian to Auckland for the tournament. South End is a primary school (years 1-8) in Carterton, Wairarapa, that offers both Montessori and mainstream education.